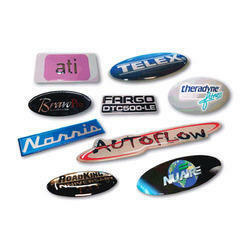 Providing you the best range of branding doming labels, automobile doming labels, computer matrix labels, instrument labels, doming labels and standard marking punches and accessories with effective & timely delivery. We are engaged in offering Branding Doming Labels, which are manufactured using supreme quality raw material and designed to provide a unique style of recognition to the brand names. 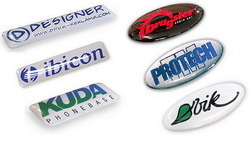 Our clients can avail these labels in different shapes and sizes as per their requirements. Suitable for both indoor and outdoor applications, these labels can withstand harsh conditions and are resistant to chemicals and abrasion. 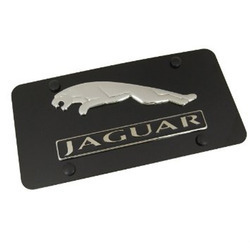 We are among the prominent manufacturers and suppliers of Automobile Doming Labels, which are made available in various shapes and sizes. Offered labels are used for permanent marking in automobiles as they are durable and possess an eye catching three-dimensional appearance. We make these labels from quality raw material and provide them in different specifications so as to fulfill the needs of our clients. We bring forth Computer Matrix Labels, which are apt for dot matrix printers at your home or office. These labels are made available in different sizes and widths and come with extra strong adhesives to cope with the demands of large mainframe printers as well. Presented self adhesive labels are waterproof and can be availed at affordable rates from the market. We are one of the leading manufacturers and suppliers of Instrument Labels, which are widely used in veterinary instrumentation applications. These labels are made available in different sizes and shapes and are much more permanent than other labels. 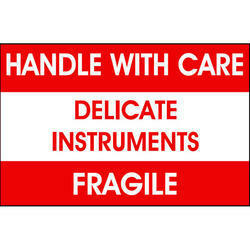 Offered labels provide resistance to temperature, chemicals, abrasion and solvents. The changing and revolutionary technology of Doming Labels is another fine product in our armoury. The labels are produced with the unique screen /etched/ or print process any substrate metal or non metal top surface is treated with flexible epoxy or PU coating enhances the aesthetic value of the label. The doming also acts as a protective layer and label becomes tamper and weather proof. We are one of the leading manufacturers and distributors of fine quality marking punches for different of their application areas. 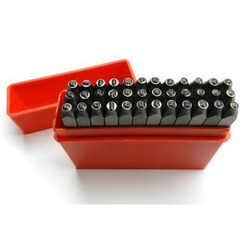 Standard Marking Punches and Accessories are manufactured using the finest quality of metals and CNC engraving. The sharpness of the stamped image and durability of the punch are the key features of our products. We offer them in different customized dimensions and affordable prices. Looking for Doming Labels ?